Malaysia is STUNNING (Part V)steemCreated with Sketch. I’ve been to rainforests in Peru and skied the mountains of Europe, but Malaysia is quite possibly my favourite country of all for its combination of all of the above and more. 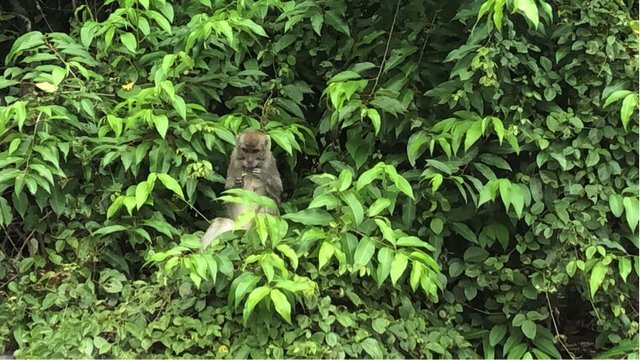 Here is just one quick screenshot of a long-tailed macaque monkey caught unaware on a river cruise on the Kinabatangan river, as just one example. Given I’m blogging on-the-go (without a laptop), I’m only able to upload one photo at a time via @partiko, and videos aren’t possible for me either at the moment. That being said, I hope to document the journey in full on my return (with longer articles and videos made for D.Tube), so stay tuned and keep in touch for more on-the-go updates until then.